I find it astounding that so many music buffs do not realize the extent of the role that the listening room plays in modifying the sound from the time it leaves the speakers to the time it reaches our ears. It would not be an overstatement to say that your listening room is one of the most important components of your audio system. It is therefore a pity that so many passionate music fans spend a big chunk of their hard earned money on high-end audio gear and on periodically upgrading components and still, frustratingly, do not obtain the sound quality they seek only because the less than ideal acoustics of their listening room keep defeating all their attempts to optimize the performance potential of their audio system. Look at it this way; most of the sound generated by our speakers, bounces off our listening room walls, floor and ceiling as well as the furniture and fixtures in it, before it reaches our ears. When this happens, depending on the nature of the surface, the sound is subjected to varying degrees of absorption, reflection and diffusion. This means that you can have a truly splendid audio system, which achieves just a fraction of its true potential because of less than ideal room acoustics. Listening rooms can vary from almost totally dead because of too much of absorption, to too bright because of an abundance of reflective surfaces, and everything in between. The size, shape and dimensions of the listening room also play a significant part in influencing the sound that we hear. A room that is perfectly square can be a nightmare because of its potential to generate standing waves, which are the nemesis of good acoustics. Ceilings that are too high can rob you of deep and tuneful bass. Too many glass dominated windows and doors and a hardwood, laminated or ceramic tile floor can result in too much of reflected sound and artificial brightness. Not all music listeners can afford to have a dedicated listening room and so have to make do with having to use their living room, family room or den double up as the listening room. This is where the spouse acceptance factor kicks in with a vengeance because the furnishings in the room that make it aesthetically pleasing may not always make for good room acoustical properties and the spouse will usually not hear of removing or moving anything just to get better sound quality. Another disadvantage of not having a dedicated listening room is that it restricts speaker placement. 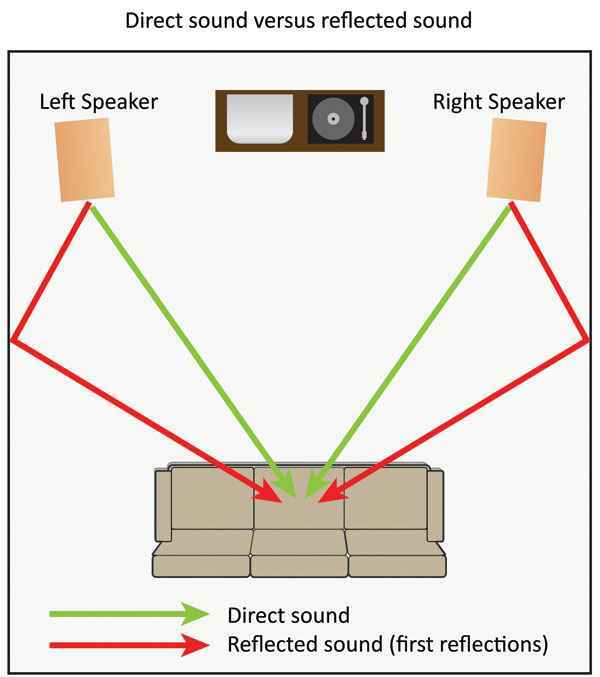 Most speakers sound best and produce the deepest soundstage when they are placed five to seven feet from the back wall and the sidewalls, which is not always possible in a living room or family room setting. Another hurdle is the wiring, especially speaker cables, which may look unsightly and could also be a tripping hazard. One of my audiophile friends was so frustrated with the restrictions on tweaking his living room for better acoustics, he actually converted his double garage into a dedicated listening room and took a no holds barred approach to adopting the best acoustical tweaks that his budget would allow and to heck with the aesthetics. He even reconciled to leaving his beloved Porsche 911 exposed to the elements, treating it as a reasonable trade-off to optimize the potential of his audio system. In reality, some effective tweaks that you could use to improve the acoustics of your listening room cost little to nothing. 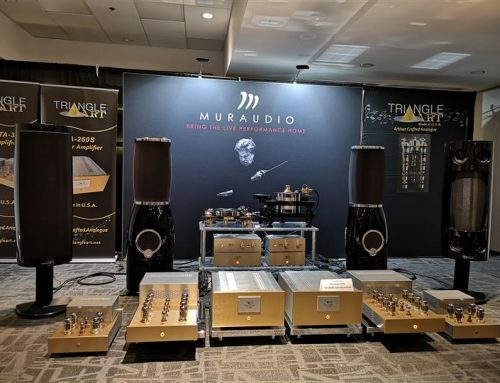 Ironically, some very expensive devices that claim to make a huge difference to the acoustics of your listening room are little more than snake oil, peddled by unscrupulous vendors preying on the gullible. Before we get into cost effective ways to improve the acoustics of your listening room, it would help to understand the nature of sound waves. Sound travels at around 345 meters per second so in a typical listening room sound directly from the speakers should reach the listener’s ears in around 0.01 to 0.2 seconds. This is followed by a series of sound waves reflected off the walls, ceiling, floors, furniture and fixtures of the listening room which reach the listener’s ears around 50 to 80 milliseconds later and at a lower amplitude. All these reflected sound waves merge into reverberant sound, which builds up till it reaches an equilibrium level and when intercepted by our eardrums, is detected as distortion. If there is too much of reverberant sound we detect it as a loss of clarity. Air in the listening room also absorbs some of the high frequency sound waves and the degree of absorption varies with the frequency, the humidity level and the air temperature. The key to attaining good room acoustics is to achieve the right balance between short reverberation time so that clarity is not compromised and long reverberation time to maintain the ‘liveness’ of the room. It should also minimize echoes and background noise. This will result in totally immersing the listener in the music while still allowing easy localization of the sound source. This should contribute to a well-defined, solid and stable sonic image. One of the simple and affordable ways to get an immediate improvement in sound quality is to reduce or eliminate primary (or early) reflections. These are the sound waves generated by your speakers that bounce off your sidewalls, floor and ceiling before reaching your ears. Locating the sources of these primary reflections is quick, easy, painless and best of all, free. All you need is a mirror of around 12” X 12” and a friend. You sit in your listening spot while your friend slides the mirror along each of the sidewalls, and the back wall – at the height of the tweeter. When you can see the tweeter in the mirror, your friend marks the spot with a post it note. If your listening room is carpeted you need not bother, but if it is hardwood, laminate, ceramic tile or other reflecting surfaces then repeat the exercise with the floor as well. You now need to place absorptive material at the marked spots. The material on the walls and ceiling should be around 18 inches square. On the side walls it should be placed so that the top of the panel is at or higher than the height of your speakers to be effective. A good option is to use 2-inch fiberglass panels covered by fabric. If that does not pass the wife acceptance factor test then you could use decorative wall hanging and floor rugs, which may not be as effective as fiberglass but will make a positive difference. Wool carpets tend to do a better job at absorbing sound waves than synthetic carpets. Another simple and affordable tweak is to place a relatively thick curtain with a lot of gathers behind the speakers on the back wall. You can use matching curtains or fabric covered blinds to cover any glass windows and doors of the room as well. Blinds have the added advantage of allowing you to adjust the amount of absorption by manipulating the angle of the blind slats. If you would rather purchase acoustic panels for your room, there are numerous specialist companies in the market that will be glad to sell you acoustic panels of various designs and sizes. Diffusion is your strong ally when improving room acoustics because it scatters the sound waves that it encounters. The advantage here is that since the sound waves are scattered rather than absorbed, the diffused waves do not rob the room of its ‘live’ nature the way overdone absorption treatments will do. Some of the best live performance venues in the world use diffusion very effectively. In fact many concert halls of the last century have incredible acoustics because of all the ornate work on their walls, which act as great diffusers. You can benefit from diffusion by placing items like bookshelves fully stacked with different sized books around the room. I have a friend who has a collection of over 9,000 vinyl records and since almost every inch of the side and back walls of his listening room are covered with shelves stacked with these albums, he has all the diffusion he requires to achieve excellent room acoustics. To achieve diffusion, you need to present the sound waves reaching the back wall with an uneven surface that is not totally absorbent. A book rack or shelving containing vinyl records or other items with uneven surfaces will serve quite nicely. You can also use dedicated diffusion panels, available from various manufacturers, which can be hung on the back wall. Some of these diffusion panels are available in attractive shapes, sizes and colours that enhance the aesthetics of the room. As a general rule, the right amount of absorption on the side and front walls, as well as diffusion on the back wall of your listening room should work well. Another ugly dragon to slay when improving room acoustics are standing waves, which usually occur at frequencies below 300Hz. These are caused by some sound waves colliding in the room resulting in some frequencies being reinforcement and others cancelled out. This results in hot and cold spots in your listening room. If you walk along the walls of your listening room while bass heavy music is playing, you can easily detect spots where the bass is artificially strong and other spots where the bass is thin. Typically, the corners of your listening room are hot in this regard. These are often referred to as room resonance modes. A cost effective way to tame the hot spots is to install bass traps in the corners of your listening room. These come in various degrees of effectiveness so ideally you should buy them from dealers who allow you to try them out before you finalize your purchase. Another nemesis of good room acoustics is known as flutter echo. This usually occurs in a room with parallel reflective wall surfaces that result in the frequencies above 500Hz generating ringing reverberations that can be detected even after the direct sound has stopped. A good way to test for flutter echo is to stand in the middle of the listening room and clap your hand as loud as you can. If you can hear the sound of the clap reflecting back and forth between the walls you have a flutter echo problem. If you do not address the flutter echo problem, it will result in transients (fast musical attacks) getting blurry and the midrange and treble part of the music sounding harsh and unpleasant. To resolve your flutter echo problem you will need to control the reflections of your walls by either absorbing or diffusing the sound waves with strategically placed sound absorbing panels or items like bookshelves that will diffuse the sound. If your listening room is part of an open concept house, it will make it significantly more difficult to achieve a good, solid, well defined soundstage, because, ideally your speakers should be placed equidistant from the side walls but if you spend enough time experimenting with different speaker placements, you will probably be rewarded with a reasonably satisfactory soundstage. If you are lucky enough to be able to build your listening room from scratch as in constructing a custom built home, then the height to width to length ratios you should aim for are 1 : 1.4 : 1.9. For example if the height is the typical 8 feet, then the width should be 11.2 feet and the length should be 15.2 feet. If on the other hand, like the majority of us, you have to tweak a room with less than ideal acoustics, how do you tell if you have been successful? You could use a relatively simple test. Just play music that you are very familiar with which has a wide soundstage. Start from your sweet spot and listen carefully for a minute. Then walk very slowly towards the spot between the speakers. If the soundstage stays focussed and you can easily tell where each musician and singer is on the stage, it indicates that you have done a good job. If it sounds like you are walking closer to the stage with the sonic focus intact, you have done a great job. However, the acid test is listening while standing near the entrance/exit door of the room. If, in this position, you can still easily locate the soundstage aurally, then you can pop the champagne to celebrate the fact that you have done a truly outstanding job! Editior’s note: Do you have questions specific to the acoustics of your room? Please join Malcolm on the CANADA HiFi (novo.press/forum) and he will be glad to help you.